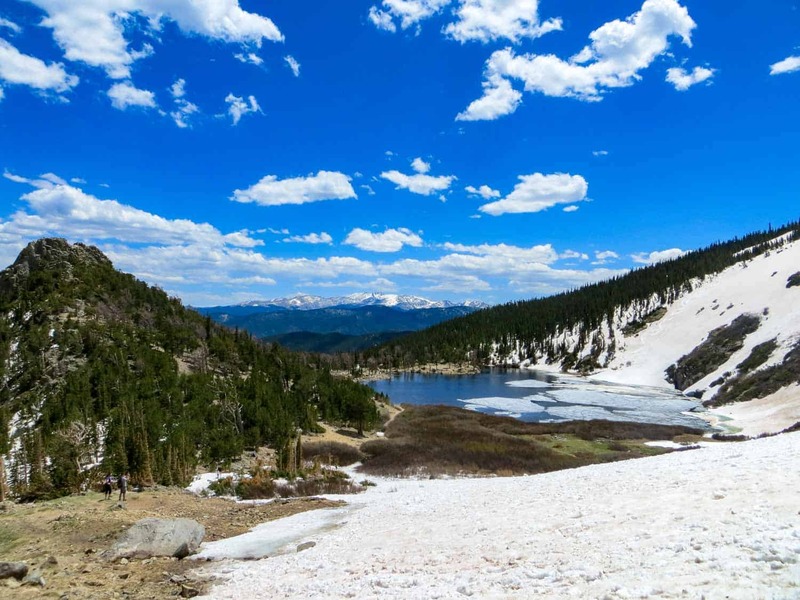 It was the first day of June, and when I arrived at the base of St. Mary’s Glacier, I could see snowboarders and skiers zig-zagging their way down its slopes! 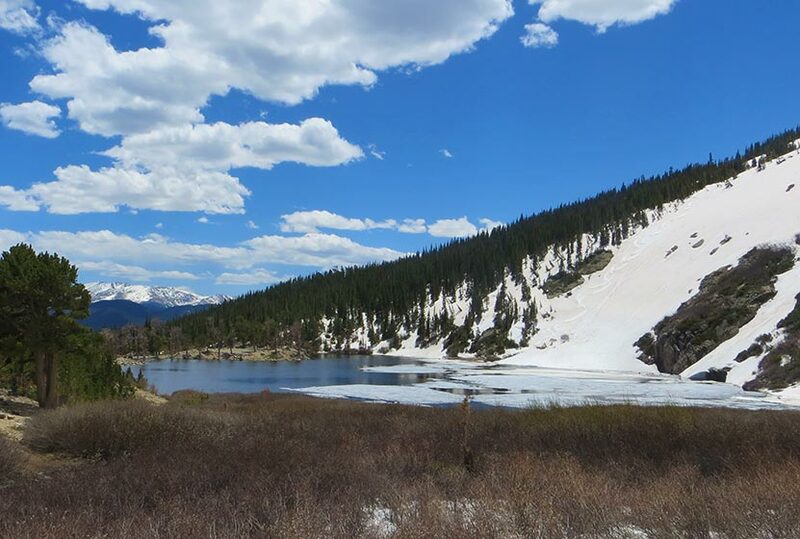 Even the trail up to St. Mary’s lake was still decorated with snow. We only made it about halfway up the glacier as it was very slick and I didn’t have my Yaktrax, but the views we got from (almost to) the saddle at top of the glacier were incredible. Just St. Mary’s lake alone is breathtaking – especially in the morning calm, as it reflects the glacier in its mirror surface. It’s a wonderful place to have a picnic before beginning the rocky descent back down the mountain. If you walk around the right side of St. Mary’s Lake, you’ll come to a bridge that takes you over a small stream – this is how you pick up the trail to hike up the glacier. 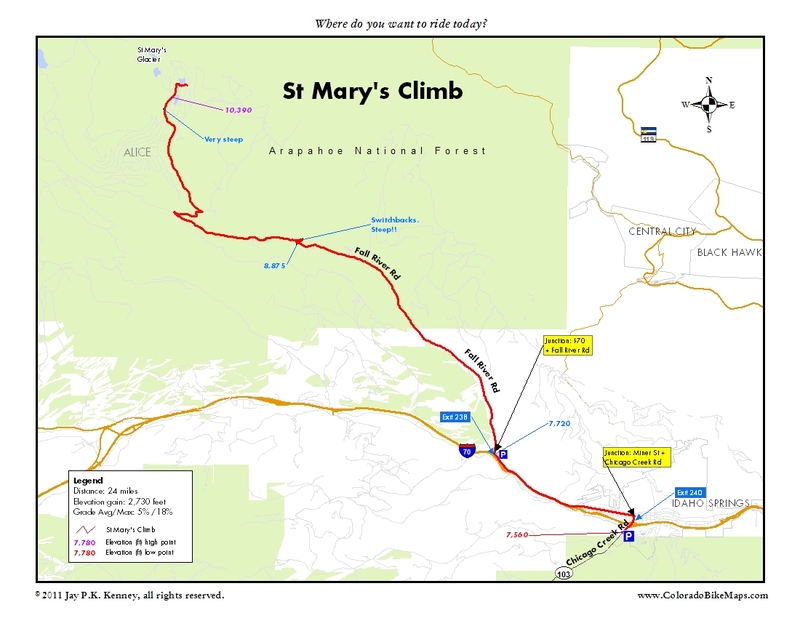 First is parking at the St. Mary’s Glacier Trailhead (this is important): There are two parking lots for the trailhead (one south of the trailhead which is fairly large and one north of it that’s smaller) and both require you to pay a $5 fee and display a permit on your windshield. Permits are easily obtained from marked posts in both parking lots, but you’ll need to bring your own pen to write down your license plate number on the fee envelope. Restrooms in the parking lots are a giant bonus and seemed (today, at least) to be very well-maintained. Do not park along the road as it interferes with access to homes and heavy fines are assessed. 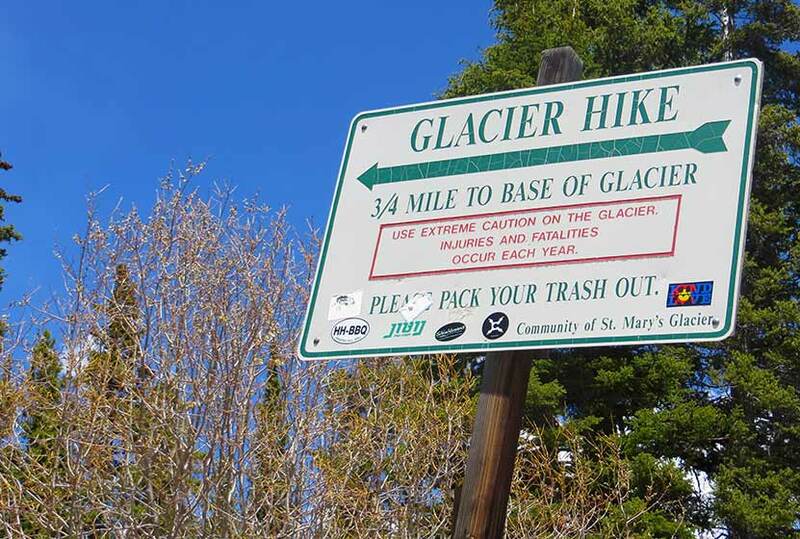 The trail up to St. Mary’s Glacier is surprisingly short – just about three-quarters of a mile to the top of the glacier – but the route is extremely rocky, and at times, it could be difficult for smaller children to scramble over larger rocks. The lower portion of the trail is quite dry, but as you ascend to the glacier there is a lot of wet and deep snow to traverse through. I’d recommend wearing hiking boots, or at the very least wearing water-resistant/treated shoes with good traction. The winter season at St. Mary’s would surely demand snowshoes. If you are hiking in the winter, exercise real caution. Because this hike feels short and is accessible from the interstate, it’s easy to forget that you are in an alpine environment. Be sure to stay the trail because this is an area where avalanches are possible on the neighboring slopes. The trailhead to the St. Mary’s Glacier is well-marked, but after that there are no more signs for the trail itself. I’ve heard folks on the trail say that as long as you’re climbing upwards you’ll eventually reach the glacier, but this type of unmarked trail may be a bit intimidating for less experienced hikers. Personally, in the winter I just follow footsteps in the snow and in the summer I follow the small stream upwards (reduces to a light trickle of water in the late Summer) and I have always made it to the glacier just fine. Dogs are allowed on the trail on leashes. 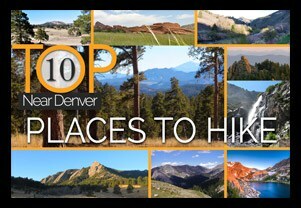 They should really be kept leashed on the ascent and descent as the land the trail runs through is on private property. Be sure to bring some doggie bags to pick up after your best friend. Picnic Area: Pack a picnic! The St. Mary’s lake is truly a stunning setting for a quick bite. 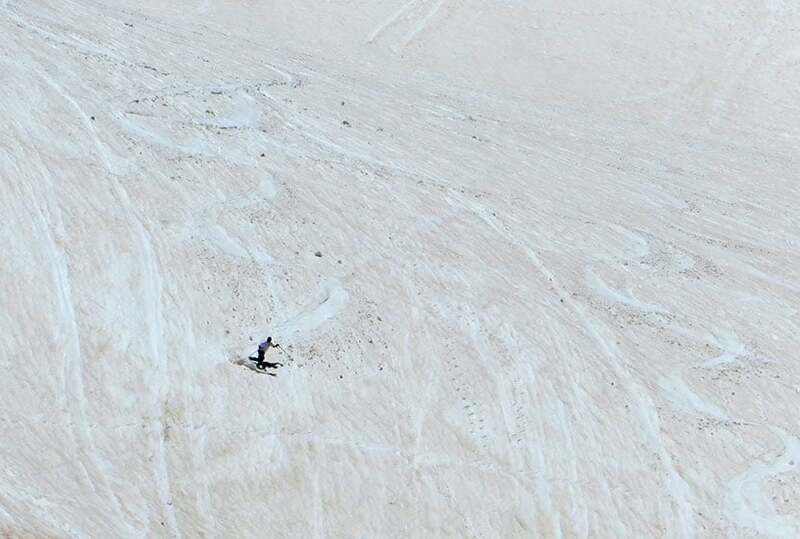 Snowboarding Area: Bring in skis/snowboards/sleds and have a blast on the glacier. Ask for direction: The trail can pretty confusing of you’ve not hiked it before, so don’t be afraid to ask hikers coming down if you’re headed in the right direction. 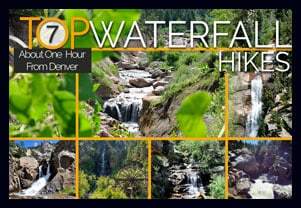 Hike Profile Credit: We would like to express our gratitude to Leslie W., a member of the Dayhikes Near Denver Pathfinder Team, who did this hike, wrote the trip report, and took the photos you see above. Thanks, Leslie! Hi did this hike today 8/20/2015. Great directions and information on the site. 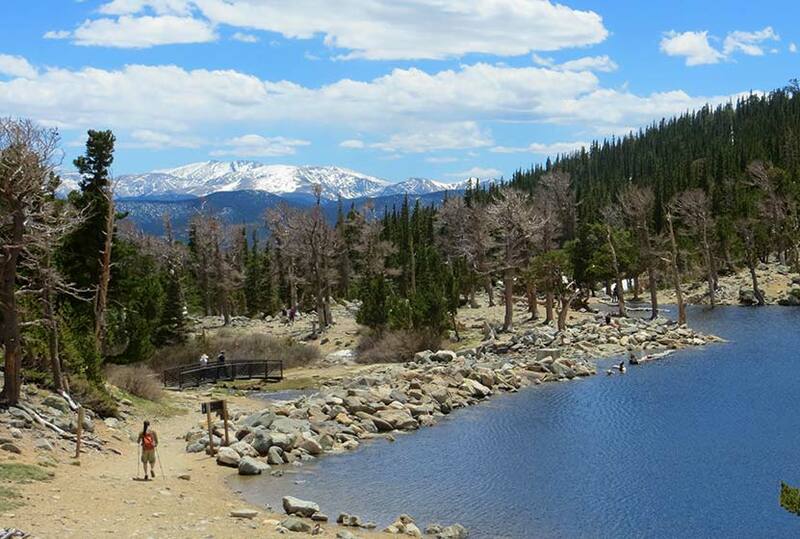 Wonderful views of the mountain and lake. I went on to hike up past the glacier. There were a couple people snowboarding and skiing. But the trail just seemed to go on forever. Coming back I lost the trail and it was a bit hairy, but eventually made it down. Hi, I just want to say thank you. I was there today 7/26/16 abs your page helped me figure out the parking situation. And thanks their the heads up about the toys trip hike! My husband and I did this hike today, May 24, 2017. We are 61 and 62 years old. It was not an easy hike for us. There was slippery, melting snow and many boulders to climb over. Even the 20 year olds were complaining. However, seeing the prize at the top was very worthwhile. 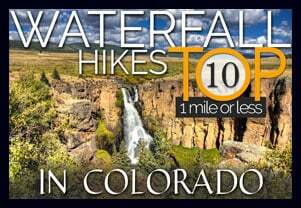 Take your time, wear waterproof hiking boots and bring a walking stick. I was glad we brought plenty of water too. It is an amazing view with plenty of places to sit and enjoy it. We did this trail 10/6/17. It was a beautiful day at lower elevations, but a bit windy and snowed very lightly on this trail. Remember it’s colder up there! And for those of us not from the mountains, remember the difficulty getting enough air in your lungs as a factor. While we are all in decent shape, we felt the lung challenge before we were out of the parking lot. the skiers in the parking lot afterward were disappointed at this time of year. Not much snow left on the glacier. Otherwise, a beautiful hike that we enjoyed very much! My daughter, her boyfriend, their dog, Chester and I climbed St. Mary’s Glacier and what a beautiful experience! It was a beautiful, sunny day on May 12th. There was a lot of snow to walk through and slippery but the temp was perfect! Long sleeve shirt was all I needed. The only thing is I wish I had my hiking boots. The air is thinner so we had to take a few breaks going up but coming down was a breeze. Gorgeous views! Highly recommend it!